With the YardCraft two sided Vertical Planter you can grow your organic vegetables and herbs in a new vertical linear way. 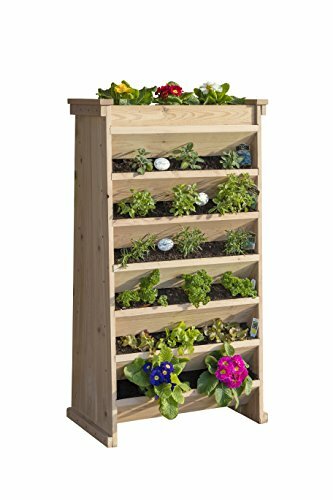 The Vertical Planter is designed for smaller spaces so you can have your garden anywhere. We devised the Vertical Planter with two sides, which enables one side to be shaded for those plants that thrive with little to no sunlight. The Vertical Planters' easy assembly is the ideal option for any gardener. If you have any questions about this product by YardCraft, contact us by completing and submitting the form below. If you are looking for a specif part number, please include it with your message.